I had such fun with this one, I like the non-traditional grey for my background. I used the Simon Says Stamp Exclusives Merry and Bright die and the Breeze wafer die. 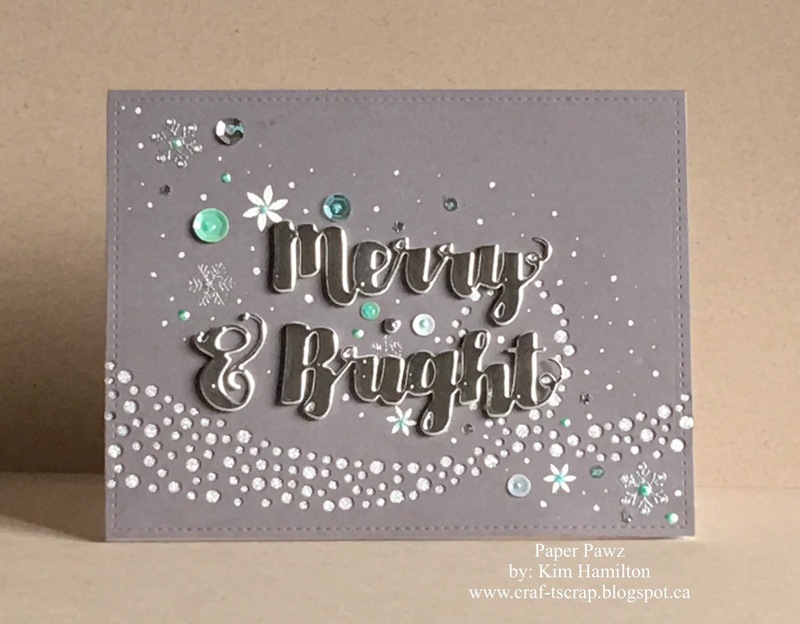 The Sentiment was die cut from silver cardstock and the Breeze die was cut on the grey panel with silver glitter paper backing it for some shimmer. 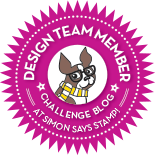 The poinsettias and snowflake stamps that are embossed are from three different older Simon Says Stamp sets. I then topped off the card with Lucy's Little Things Winter Mint sequin mix (my favourite mix ever!) and some Gellyroller dots to look like snow! CFC161 - Be Thankful with a discount!! !